Cryptocurrency is a subject of fierce debate within the gaming community, but there is more to cryptocurrencies than playing bank – there’s also the blockchain that lies beneath the surface. We spoke with a few blockchain-powered startups to look into the potential that this technology offers – now that the proverbial floodgates are open – not just to miners, but to us gamers, too. Want to dive right into the hardware tweaks and get a tangible performance boost? Here is our how to overclock guide. It might not be all doom and gloom for gamers when it comes to the world of virtual currencies. After all, miners and gamers aren’t two exclusive groups. Gamers were some of the earliest adopters of cryptocurrency mining and that love/hate relationship shouldn’t stop there. Gamers are in the sights of the growing blockchain-application market, which is hoping to convalesce the growing tensions between these two groups utilising the power of the blockchain. 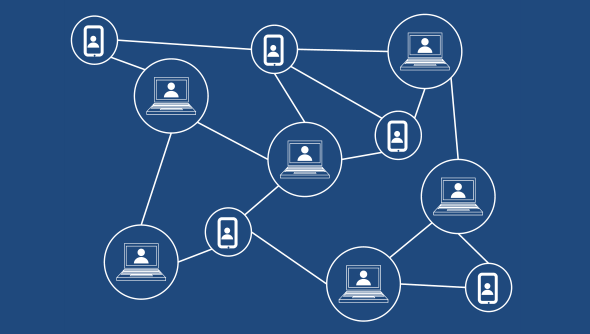 At its heart, blockchain technology allows for information, contracts, and transactions to be logged securely across multiple users and devices, without the need for a central server or database. It’s not really new tech, but one that is only now being brought into fruition through early applications, such as cryptocurrencies – which are somewhat a crucial aspect of blockchain applications as a whole. Across the deep, dark expanse of the web, trust becomes a big issue. Luckily, blockchain tech allows users to foster trust across a peer-to-peer network, and allows two potentially unsavoury parties to carry out a transaction and have everything go to plan. This is because the blockchain allows everyone to secure and authorise a ‘block’ – a chunk of the ledger that contains the contractual or transaction information required – at once. The bigger the blockchain, the harder it is to defraud the system. Of course, the miners supporting the verification of blocks also get rewarded for their work through a token with some monetary value. Any application that requires some form of trust, transaction, or record can potentially benefit from a blockchain system – it’s also incredibly useful for reducing overhead, time, and resources dedicated to ‘traditional’ ways of doing these tasks. While cryptocurrency markets are currently going through a rough patch, that doesn’t mean the blockchain technology will go away. Underneath the bubble of cryptocurrencies is a technology that is useful, and potentially very important, to the future of cross-network interactions. While this system has been somewhat detrimental to the gaming community so far – due to the humble graphics card’s proclivity for the job, and their subsequent scarcity – many blockchain companies believe gamers, and the gaming industry as a whole, are in the perfect position to leverage the blockchain to their advantage. So what did the blockchain ever do for us? It’s a good question, and the answer is often hard to find in the debate revolving around the struggles that PC gamers have to go through just to find a graphics card at recommended retail price. Playkey were once purely a cloud-based game streaming service but, because of the potential benefits of the blockchain for gamers, have transformed into a newly-minted coin and blockchain application. In essence, they are still a cloud streaming service, and we’ve spoken with their CEO Egor Gurjev before. Since we last spoke, however, the company has taken a drastic turn in the means of which they try to achieve their goals. Previously, they relied on servers providing a direct connection to the user – a somewhat traditional approach – offering a streamed gaming experience that could be played across even low-end hardware. The problem this solves being that gaming is a growing market that relies heavily on people owning what is often restrictively expensive hardware. However, scaling became a large issue for the company, as they could not scale quickly enough or cheaply enough to offer their services where it would be most well-received. Luckily, a form of tech was realised on a considerable scale right around the right time for Playkey’s expansion plans to come to fruition and avoid the costs and constraints previously affecting the service – the blockchain. 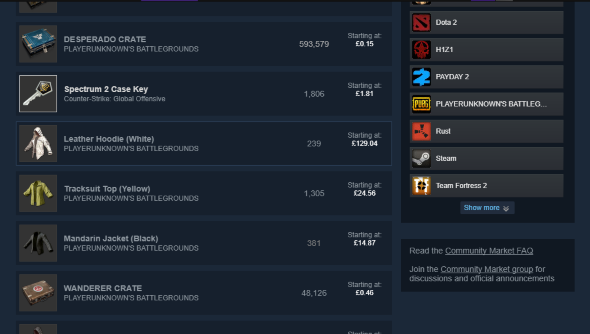 Playkey have since pivoted. What started out as a way of offering a high-end gaming experience for low-end hardware owners has now become a decentralised game streaming service, where gamers are both the client and the supplier. Gamers with high-end PCs essentially loan out their computer to other gamers who wish to game on it, and it’s all authorised utilising an Ethereum-based Playkey token (PKT). Playkey subsequently act as a semi-regulator and distributor for the platform. Managing marketing along with the service-level agreements that miners must fulfil to offer their services. These agreements allow for a consistent quality and service access to the gamer from the loaned machine, and ensures no funny business along the way. In essence, smart contracts are formed – through the Playkey platform – between gamer and miner. The miner then has to fulfil the contract to the specifications of the contract and the requirements laid out by the platform, such as the speed of their network. The rented computer will then be available to the gamer for the agreed time period. Once the contract has been met, the funds will be transferred to the miner who can subsequently trade the currency on one of the exchanges PKT is traded on. While the reduction in server-hosting reduces cost for Playkey, they also intend for it to reduce costs for gamers, too. 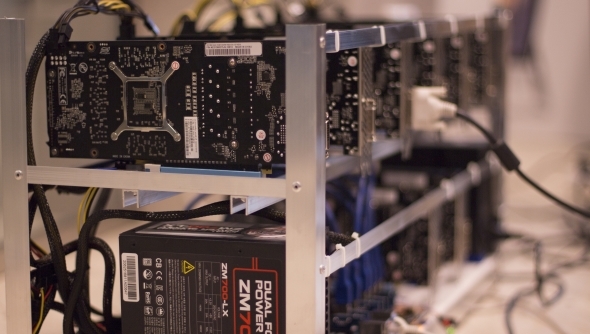 Miners, or their gaming rigs on loan, make a profit that stays more consistent than mining cryptocurrency, and gamers receive a streaming service that is less expensive due to the reduced overhead costs of server rental than they would otherwise have to pay. It is also expected that the streams could have lower latency, depending on where the miner and gamer are in relation to each other. Playkey are largely focusing on gamers with potentially lower-end specs and attempting to offer them a high-end gaming experience. Especially with graphics cards such a tall order due to inflated pricing, there may be a wider than usual audience for these platforms of late. 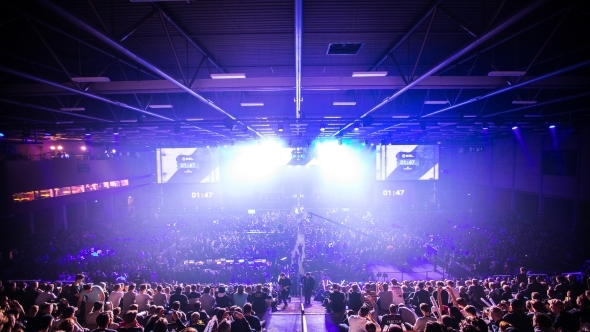 Playkey are also looking into the wider esports gaming scene. Coincidentally, so are BestMeta – an esports talent and event-funding platform that runs across the blockchain. We spoke with Amy Yu, managing director, and Toby Dawson, esports director and renowned Dota 2 caster. The BestMeta platform was spawned directly from the need to fix a problem that the creators felt existed within the way funding is organised for esports talent and fans. Crowdfunding has more than its fair share of horror stories, and BestMeta believe that, through the blockchain, these issues can be resolved while still upholding the positive interactions between fan and talent, personality, company, etc. for all parties involved. The platform is powered by their own BestMeta Ethereum token (BMT) and utilises the smart contracts, similar to Playkey. What this allows BestMeta to achieve is a platform that supports fan and talent funding in a transparent and accountable way. A talent will put up a project, event, or content creation task, and their fans can fund this through tokens. At each step of funding, or at the time of delivery, the smart contracts ensure that all the requirements have been met and a fully transparent record of this transfer has been logged. 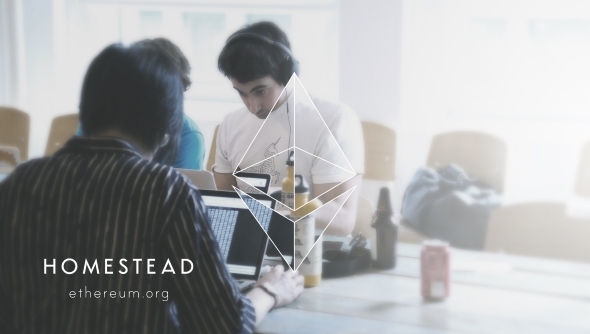 Fans benefit from the trust that smart contracts offer them, allowing for the funding to go directly to the project, content, or event that the talent is organising, and the talent benefits from direct funding and engagement with their fan base in a straightforward, direct, and sustainable way. What seems consistent among all these applications is that they believe that not only are gamers set to gain from blockchain services and platforms, but that they are in the best position – as an audience and end user – to understand and capitalise on blockchain applications to their benefit. Gamers are already used to trading skins, cards, and in-game items within virtual marketplaces – it’s not such a huge gap to bridge. It is still exceptionally early days for many blockchain apps, and the user experience will be critical to the success of these platforms. Accessibility will be a huge make-or-break moment for blockchain apps going forward and these developers will need to create an easily accessible platform – that cuts through the crypto-jargon – for the average user. There are still many variables for the future of gaming and the blockchain, and while many of those are potentially negative – such as government regulation or a market crash – there is also plenty of potential and positivity to be born out of all the current market disruption. Playkey CEO, Egor Gurjev, believes government regulation can only aid the blockchain applications, which would gain legitimacy through the banning and removal of illegitimate companies that serve no benefit to the technology or the audience. These apps aren’t without competition outside of the blockchain, of course, and it would be unjust to look at them within their own crypto-powered bubble. Crowdfunding and esports funding are both fairly established within current popular platforms, not to say there isn’t room for change. There does seem to be some visible discontent with how some of these services handle funding, and that may open the door to some disruption from blockchain applications in this case. Streaming services are finally reaching critical mass as they become a genuinely viable option, such as Shadow’s Blade, GeForce Now, and Parsec. It will be especially telling as other streaming services fork down differing approaches to see which – blockchain or otherwise – comes out on top, and whether any blockchain concepts are adopted alongside centralised systems – Parsec’s software already seems potentially a good match up to a blockchain-based contract application. 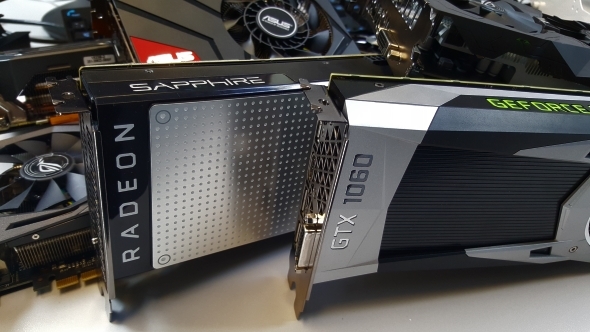 It’s perfectly understandable if any gamer feels that the pros of blockchain apps don’t outweigh the cons of a troubled graphics card market – it’s been a dour note here at PCGamesN HQ for a while, too. It’s not been particularly invigorating writing about graphics cards when our audience is significantly limited by an insurmountable paywall – but, as we all know, technology rarely takes a step backward. Blockchain apps may find some very applicable uses within the tech that gamers interact with on a daily basis, and blockchain applications have a vested interested in creating apps that will be beneficial to the gaming community. With AMD and Nvidia both, in some way, publicly endorsing the blockchain or cryptocurrency mining, these applications certainly hold sway in the thoughts of the gigantic tech manufacturing corps – a potential sign of things to come. Consistently, the theme among these companies is that there is something to offer gamers with blockchain technology, and that they are the prime audience for this upcoming tech due to their current understanding and relationship with virtual markets. I suspect there will be some considerable shake ups to the crypto-markets and blockchain before the year is up, but how gamers react to these services, and how rapidly they are adopted, will be a telling sign for the future of blockchain applications. I’m not saying be happy that you can’t buy a graphics card, but if blockchain tech is sticking around, at least it’s doing something for gamers in return.